The BigBoi BlowR Pro Dryer uses filtered air to deliver the very safest way to dry your car, marine craft or motorcycle. 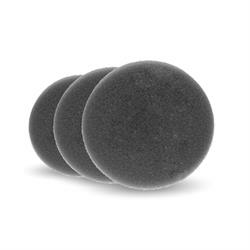 The foam filter is washable and reusable but eventually, you may wish to replace it. N.B. This 3-pack is for the BlowR Pro.